Eckernfoerde is listed as Assembly Center 1206, comprising 3 camps with 1389 DPs, responsibility was by UNRRA Team 81. DPs in 1947 = 2,583. Closed by Dec 1949. Possibly records may be found in the United Nations Archives, New York and in the Public Record Office, London. My Dad was born in the Eckernforde camp in 1946 - surname Glembin. We have a few photos which I'm happy to share. I would love to see other photos from Eckernforde. Best wishes and congratulations on your site. There was a TB hospital under the DPACS (Assembly Centre Staff) 122/1225, and the IRO Area Team 907 took care for the hospital in Edmundsthal, from June 1947 to April 1949. 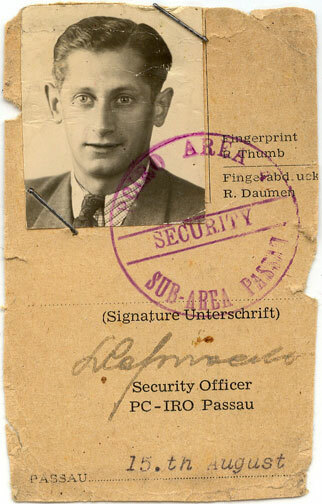 Wolfgang Strobel, author of Post der befreiten Zwangsarbeiter - Displaced Persons Mail Paid in Deutschland 1945 - 1949. Polish Camp - Edmonton, 269 Assembly Center. Assembly Centre 269 was established in Osnabrueck, Niedersachsen, British Zone of Germany, in April 1945. (Source: Gislela Eckert, Hilfs- und Rehabilitierungsmänahmen der West-Alliierten des Zweiten Weltkrieges für Displaced Persons (DPs) dargestellt am Beispiel Niedersachsens 1945 - 1952, (Ph.D. thesis), Braunschweig 1995.) UNRRA Team 242 was there in November 1945. (Source: UN-Archives, PAG-4/3.0.11.2.0.1:13, file 497) So this is two hits!! Edmonton was the camp's nickname; many camps got Polish city names or names of politicians like Stalin. A former German artillery barracks: Kaserne Blok 11 / Kaserne Block 11 means barracks Block 11. BAOR means: British Army of the Rhine. The International Tracing Service is to be checked, maybe there are relevant records about UNRRA team 242 and Assembly Center 269 in the UN-Archives, New York or about the Assembly Center and the situation in Osnabrueck in the Public Record Office, London. Aso called Gut Klausheide in '47. DPs in 1947: 4,055; in 1949: 490; in 1950: 651. Einbeck, #2811, Land Niedersachsen (British zone). Under the Nazis, there was a civilian work camp, Heidemann-Werke, in Einbeck with150 persons. I do not have much information on the DP camp in Einbeck. It existed probably from the Allied occupation of Germany in 1945 until at least November 1947. It had the DPAC number 2811 until June 1947 and the DPACCS/DPAC number 49/2811 from July to November 1947 and/or 49/2812 from September to October 1947. The team 131 GIS of the Guides International Service, a British Relief organisation of the Girl Scouts, assisted the DPs in this camp. Maybe these few informations might help you when asking other sources for information. I have been searching for some information on DP camp in Einbeck, as I was born in a place called Deinerlindenweg 1 which was a hospital and is now a home for the aged. This hospital wasn't too far from the camp where my mother was pregnant with me. My Baptism certificate has the hospital and two camps on it, the only information I need to complete my family historical journey, is some historical information on a DP camp called Larger Sikorsky. 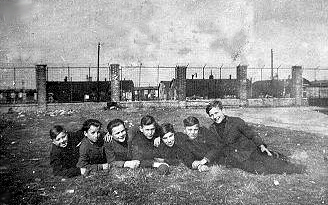 Our mother was in a camp Sikorski in Einbeck, believed to be German barracks. Are you able to provide any further information on this camp or are you able to direct me somewhere? I would appreciate any information. "A displaced persons camp was located at Ellern near the Regimental CP in Rheinballen. Sanitary conditions at the camp were threatening the health of our troops in the vicinity, so the Regimental Commander authorized the removal of the camp leader and replaced him with two enlisted men of the Regiment who were put in complete charge, responsible to the Regimental Comander. As soon as 276th Regiment Command Post was established at Rheinbollen, the Prisoner Interrogation team immediately began to screen POWs and male civilians and segregated the displaced persons. in the German state of Hesse, southeast of Frankfurt closer to Stuttgart. Ein Auszug aus dem Buch "Befreit aber nicht in Freiheit". 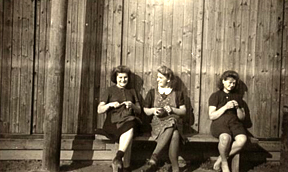 Around 40,000 mainly Polish DPs were living in the Emsland region in August 1945. The Emsland, situated in the north-western part of Germany at the Dutch-German border, was liberated by British, Canadian and Polish units of the 2nd Canadian Army and the 30th British Corps. About 1,700 women soldiers who had been captured at the Warsaw insurrection and taken prisoners of war at Oberlangen camp were liberated. On May 19th 1945, the 2nd Canadian Army decided to set up a Polish colony in the Emsland. The new national enclave was to be controlled by the Polish Armoured Division. General Montgomery, the British Commanderin-Chief, gave his permission to continue with the project of evacuating the German population in order to create a Polish enclave in June. Within the context of this operation the British military government brought Polish DPs from other camps in the British zone to the Emsland region, amongst them, more than 1,000 Polish Jews from the concentration camp at Bergen-Belsen. The plan to set up a Polish enclave was cancelled in mid-June 1945. By then, seven German villages had already been evacuated, so that the thousands of Polish DPs were able to settle in the Emsland. This development plus the fact that the 1st Polish Armoured Division had taken up occupation duties in May 1945 exerted a magnetic appeal to thousands of Polish DPs and former prisoners of war from the outside. At the end of 1945, the proportion of foreigners accommodated in former concentration camps, POW camps and in requisitioned houses in the Emsland region was between 10 (Lingen district) and 28 percent (Aschendorf-Hümmling district). For the DPs, the Emsland served as a transit and the DP camps became waiting rooms. The United Nations Relief and Rehabilitation Administration (UNRRA) took care of these people, as did the soldiers of the Polish Division helping their countymen. While the DPs were being provided for by the Germans in the spring of 1945, nutrition statistics compiled from November 1945 showed that only 150 of about 2,150 calories were supplied by German resources. By January 1946, the British military government had set up 15 Polish DP camps, five ex-prisoner of war camps and one DP camp for Baltic nationals in the Emsland region. Maczköw, the former German town of Haren (Ems), was the most renowned with a population of around 3,500. In a situation which was often characterized by germinating hopes of self-determination, liberty aspirations were often destroyed by the overly pragmatic policies of the British military government. Displaced Persons tried frequently to cope with their often traumatic experiences. Therefore, education and cultural traditions, which were forbidden during the war, now became revitalized to help many of these homeless people. 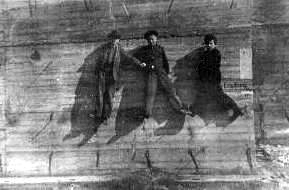 Professional and amateur actors founded theaters. Local grassroots newspapers sought to quench the near insatiable thirst for information that had been banned for so long during the years of isolation. The DP camps were like villages with a mayor, their own police and fire stations, and a church; a Catholic one naturally. 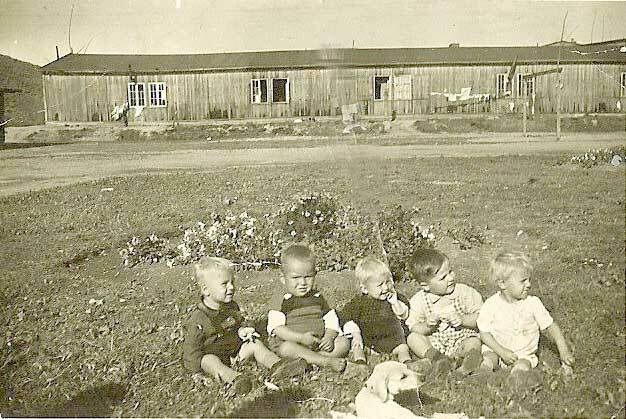 Every DP camp had its own kindergarten and one or more primary schools; in Lingen and Maczköw there were high schools. Nearly one hundred teachers supervised about 2,000 pupils. In the spring of 1946, 23 out of a total of 34 Polish schools in the British zone were in the Emsland region. For the adults, the UNRRA arranged driving schools, courses in tailoring and sewing as well as English lessons and an open university. A public health system was set up and organized by the DPs themselves and supported by the UNRRA. The majority of the doctors were DPs and former prisoners of war. Before October 1946, the bulk of the Polish DPs in the Emsland region refused repatriation, yet the demobilization of the 1st Polish Armoured Division and their successive departure to Great Britain induced some of them to leave the Emsland. About 2,500 DPs, relatives of Polish soldiers left for England in the winter of 1946-47, thus having reduced the amount of Polish DPs in the Emsland region to 14,800 in April 1947. Many of them did not want to go back to Poland. They were frightened to have to return to a Cornmunist country where they would run the risk of being persecuted. 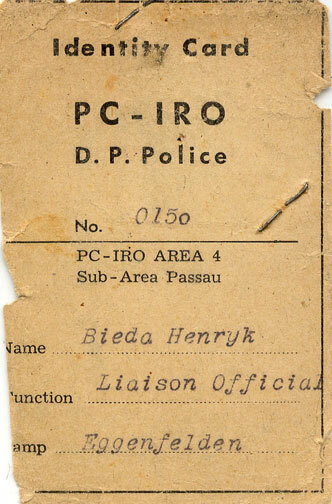 The UNRRA was essentially a temporary organization which expired in June 1947. After that time, the International Refugee Organization (IRO) has been taking care of Displaced Persons. Even though the repatriation was the main concern ofthe new refugee organization, in reality, its principal task was resettlement. From 1947 to 1950 thousands of DPs left the Emsland for resettlement, especially in the United States of America, Canada and Australia. In June 1950 when the IRO submitted responsibility for the DPs to the German government only about 1,000 DPs were living in Lingen, the largest and last DP camp in the Emsland region. These consisted of mainly old and sick DPs who were in no physical condition to pass the immigration selections. DP camp Lingen did not close until 1957, and some DPs are still living in Germany as so-called "homeless foreigners" (heimatlose Ausländer). I came across your site, which has a lot of information regarding DP Camps after WWII. I am searching for a German village where our family lived and worked as forced labor from spring of 1944 to summer of 1945 as forced labor. I would like to visit the village and try to locate the offspring’s of the owner of the manufacturing plant and share our family’s experience. We were lucky to have such an understanding owner who helped us to escape deportation to Ukraine and I would like to convey our thanks to his offspring’s. 1. The village was in the British Zone. 2. The population of the village was approximately 1,500 people. 3. There was a railroad through the village which branched-off into two or three directions. (Thus allies bombed the village heavily. 4. There were between 60 to 100 forced labors working in manufacturing facilities mostly involved with wood products (windows, doors, barrack prefabricated parts and furniture). 5. There was a forested area nearby where people moved to avoid being killed during heavy bombing periods. Also, there was a small river running through the village. 6. British soldiers occupied the village few days after the war was over. 7. Within a week or so, Soviet representatives came to administer repatriation process. 8. All forced labor was moved to a large barracks and guarded by British Army. 9. At my father's, the owner of our manufacturing plant arranged a closed railroad transport car. Eight people, in the officially sealed-lead-tags railroad car, left the village for the American Zone at 3:00 a.m. It took us three days to get to his friend’s manufacturing facility in the American Zone. We were then transported to the American refugee-gathering center. To my parent’s knowledge, the remaining forced labor people were repatriated to Ukraine, where they, most likely, received harsh treatment. 10. We were moved to the temporary DP camp close to the France or French Zone. The word Entenbruk, or some spelling variation, is imprinted in my mind as the village name. However, I could not find such a village on the Internet. I know that this is very little to go on; but, if you have any recommendations on how I could find out the name of this village, it would be greatly appreciated. Essen-Kray, #3200, mostly Polish, Balts, Yugoslavs Essen has it's own page. Diet in camp: 2 ounces of butter, 4 ounces of meat and 2 pounds of potatoes per week. "Stadt Halle" probably is Schwäbisch Hall - see letter S. Submitted by: Wolfgang Strobel, author of Post der befreiten Zwangsarbeiter - Displaced Persons Mail Paid in Deutschland 1945 - 1949. My mother was in the DP camp that was in Esslingen, right by the Neckar River. The camp/name of the loom factory was Kolb & Schule A. G. town of Lembert with her residence of Kirchheim-Teck. How can I get more info on this for family geneology? Thank you for the info. You can post my request. Thanks for your help!!! Stella H. sh0906@bellsouth.net. Euskirchen - Refugee children forbidden to take walks because of hidden mines, grenades and ammunition (Wyman, p.42).